This special issue takes a critical approach to encounters with science as a normative discourse across Korea’s nineteenth and twentieth centuries. These encounters are considered through a broad range of texts including:scientific and technical magazines; fiction and literary criticism written during the colonial period (1910-45); popular science magazines for young and adult readers in postwar North and South Korea; and science fiction. In this issue, contributors offer a groundbreaking framework for approaching the multilayered relations between literature and science both in Korea and in other sites in the modern world. Paying particular attention to the ways in which literature and science share a linguistic medium, the nine articles that comprise this special issue show how literature and science interconnect as modes of understanding and perceiving the world. It is a must-read not only for specialists in modern Korean literature but also for scholars of modern Korea working across all disciplines in the humanities and social sciences. To subscribe to this journal visit the Journal of Korean Studies page. 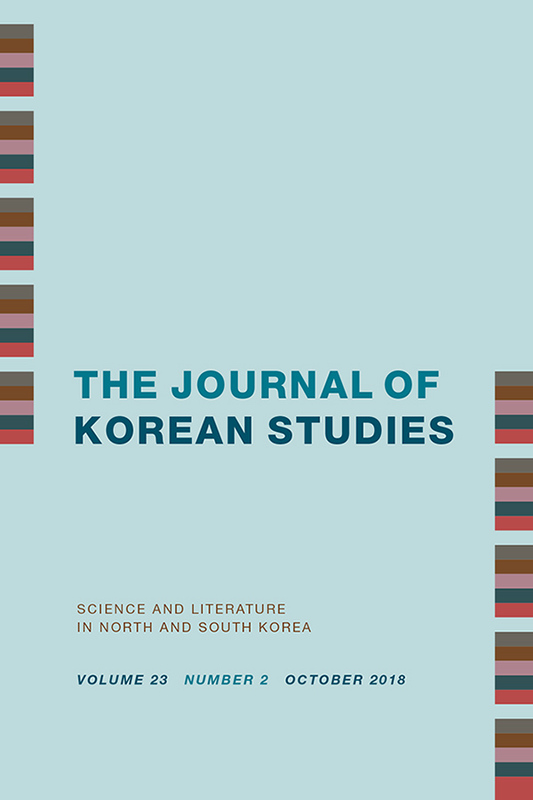 View the table of contents for the Journal of Korean Studies 23:2, "Science and Literature in North and South Korea," at the journal's online site.